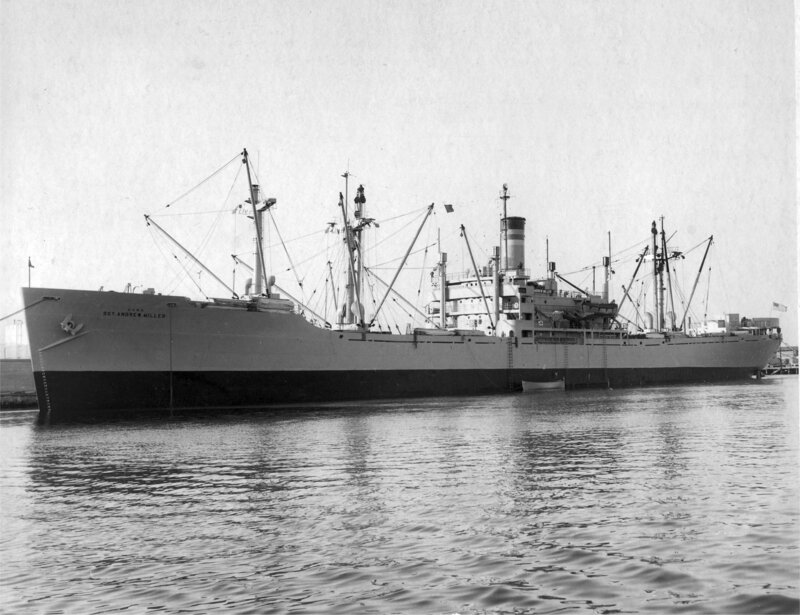 Laid down, 22 February 1945, as SS Radcliffe Victory, a Maritime Commission type (VC2-S-AP2) hull, under Maritime Commission contract (MCV 743), at Permanente Metals Corp., Richmond, CA. Delivered to the War Shipping Administration (WSA), 28 April 1945, for operation by American-West African Line Inc. Transferred to the Maritime Administration (MARAD), 22 March 1976, for lay up in the National Defense Reserve Fleet, James River Group, Lee Hall, VA. Final Disposition, trade out for scrapping, sold, 17 February 1983 to Kurz Marine Inc. (MA-11223), and resold the same date to Andy Exports Inc. (MA-11225) for scrapping/ Withdrawn from the Reserve Fleet, 21 November 1983 and delivered to Andy Exports Inc.
927k USNS Sgt. Andrew Miller (T-AK-242)) moored at the Port of Los Angeles, date unknown. 97k USNS Sgt. Andrew Miller (T-AK-242)) under way in San Francisco Bay, November 1963. 114k Vietnamese barges and sampans approach USNS Sgt. Andrew Miller (T-AK-242) off Vung Tau, Republic of Vietnam, during Operation Frequent Wind (evacuation of Saigon) 29-30 April 1975. 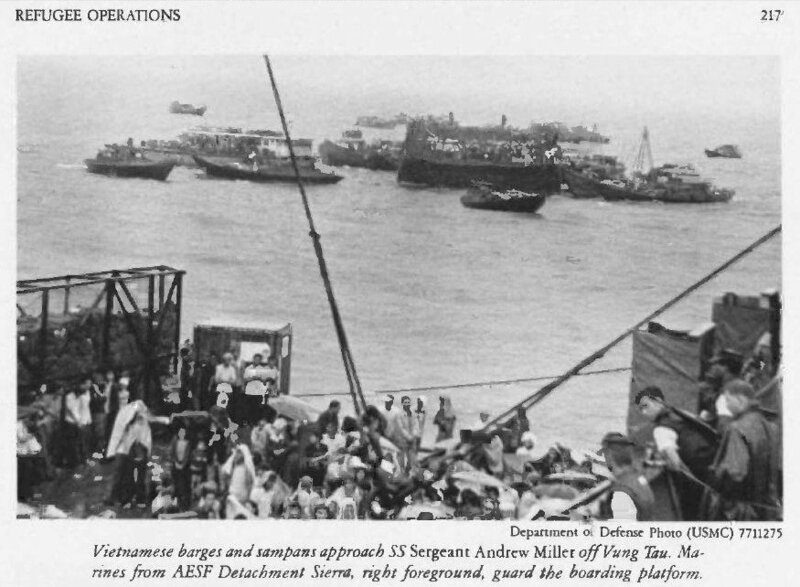 Marines from AESF, Detachment Sierra, right foreground guard the boarding platform. 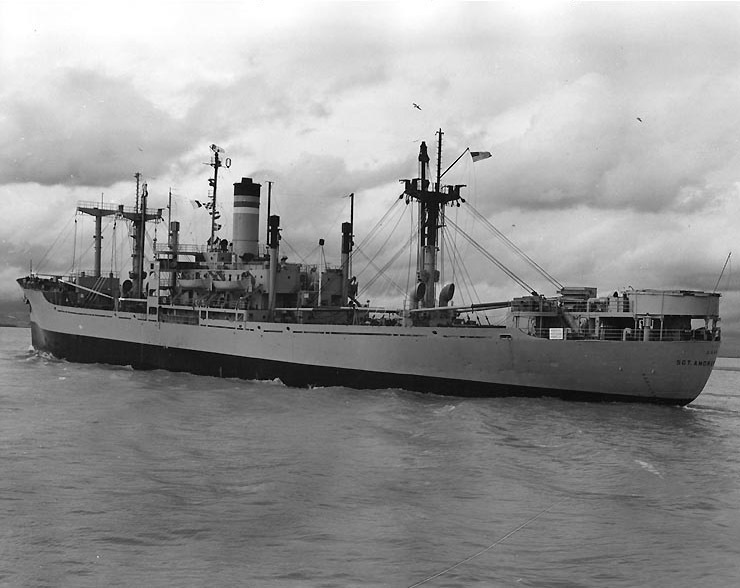 USNS Sgt. Andrew Miller and Operation "Frequent Wind"